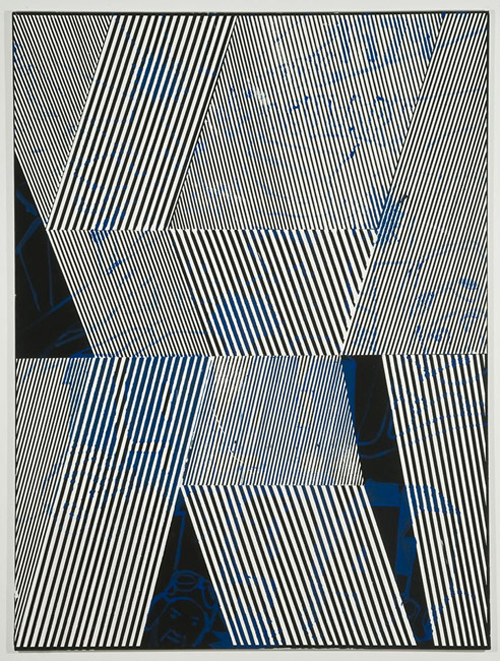 Garth Weisers’ viscerally compelling body of paintings expand upon the underlying use of the grid throughout the history of painting and architecture, his artworks challenge the nature of perception by continually questioning the process of applying paint to a canvas. Weisers’ practice involves an intense exploration of medium, color, and space through a masterful application of contemporary mark making. Layers upon layers are applied, areas are taped off, and paint becomes textured by airbrush, splatter, wax paper, and heavily combed surfaces through the use of brush and putty knife. The texture is further contrasted by varying methods of paint including acrylic, gouache, tempera, and graphite. 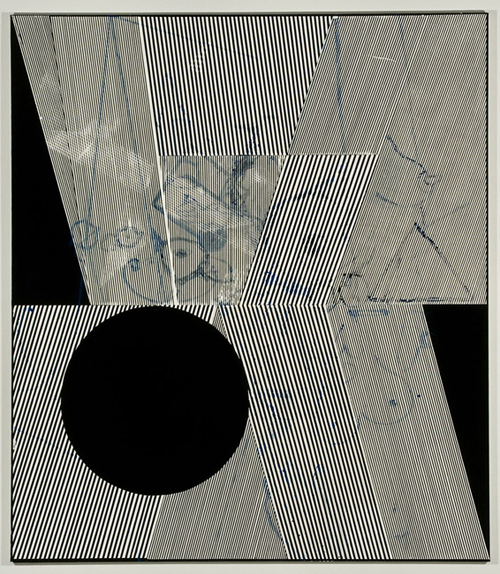 In his abstractions, Western devices are implied with the consistent use of a horizon line. 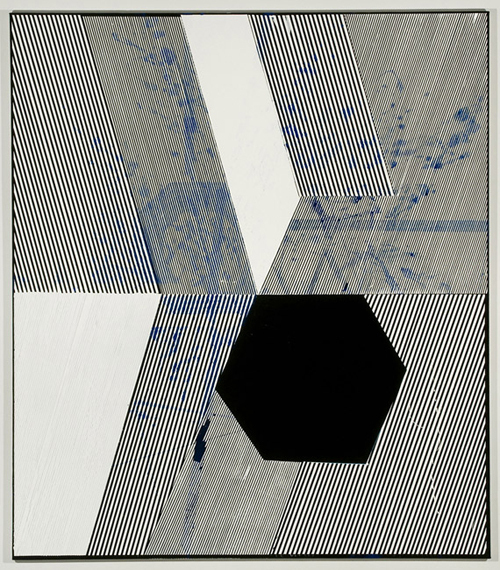 Weiser looks to text and images as a starting point of this process, using these ideas to form an abstracted dichotomy. Influences are drawn from popular culture of the 1980s and 1990s, modern and contemporary art, and graphic design, including the post modernist graphic artist Herb Lubalin. 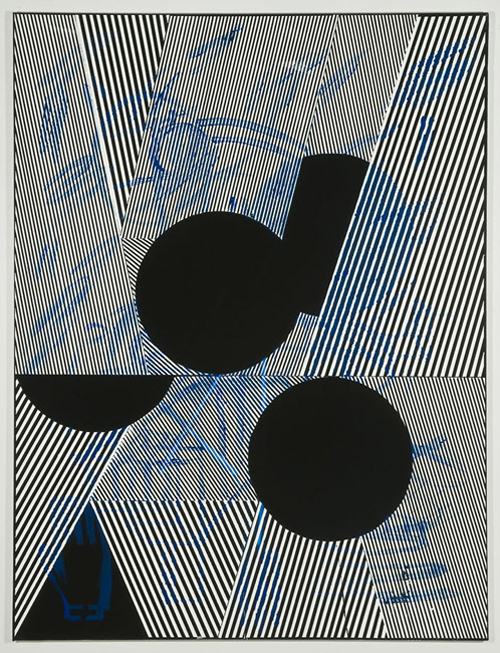 His latest series of primarily black-and-white paintings take their cues from the graphic designs of pop and corporate culture, as he contradicts more intricate and graphic detail with impulsively applied doodles. 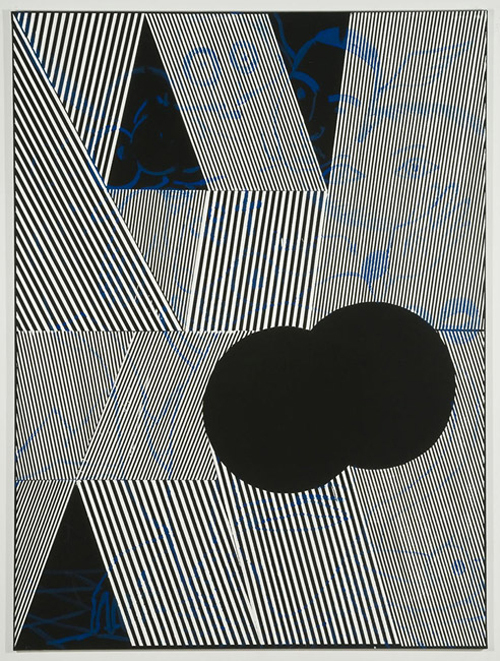 His meticulously arranged stripes and shapes, shifting in direction and orientation throughout his canvases are inspired by the Halifax Bank and Valvoline Oil logos. These delineated lines and planes are used to define, but not outline, shapes and forms as they push outward, filling up a dizzying expanse that appears to shift and disorient. They contrast starkly against a cerulean blue script that is used in varying methods of drip, splatter, and sketch. These trails are at times definable as text and images, intended to create a desired tension in the paintings. It is in this tension where the surface of the canvas provides a stark contrast between impulse and order, hard edge to soft, as if there are two paintings within one struggling to occupy the same space.